For many devoted followers, watching Stanley Kubrick’s sci-fi masterpiece 2001: A Space Odyssey on the big screen with a superior sound system is akin to a religious experience. When I saw it this past spring on the big screen in commemoration of its 50th anniversary, I was awed by how great it looked and sounded after all these years, even with famed director Christopher Nolan overseeing the “restoration” of new prints that actually were not upgraded on HD or sonically remastered. Rather, the audience experienced the film exactly as people did back in 1968, reel change cues included. 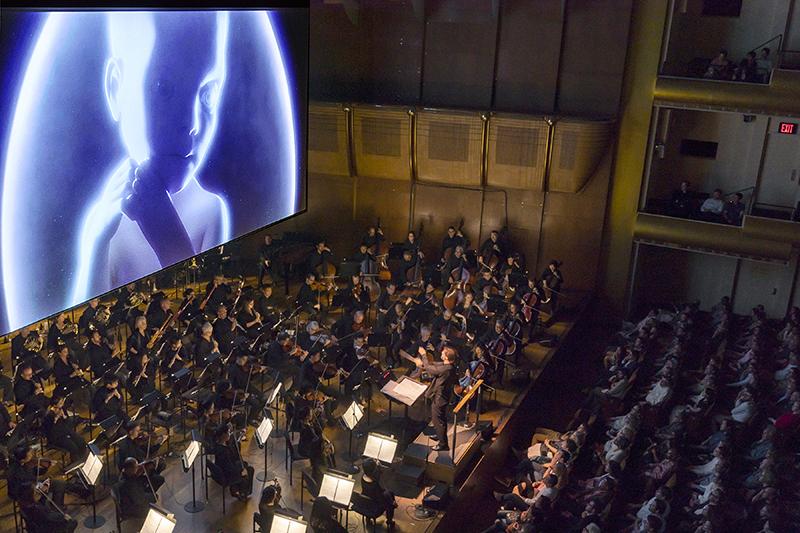 Witnessing this film at the David Geffen Hall at Lincoln Center on a 32-by-18-foot roll-down Da-Lite Studio Electrol screen — accompanied by André de Ridder conducting the New York Philharmonic and Musica Sacra choir — was a sublime experience. On Sept. 14 and 15, 2018, the film was shown to large audiences this way. 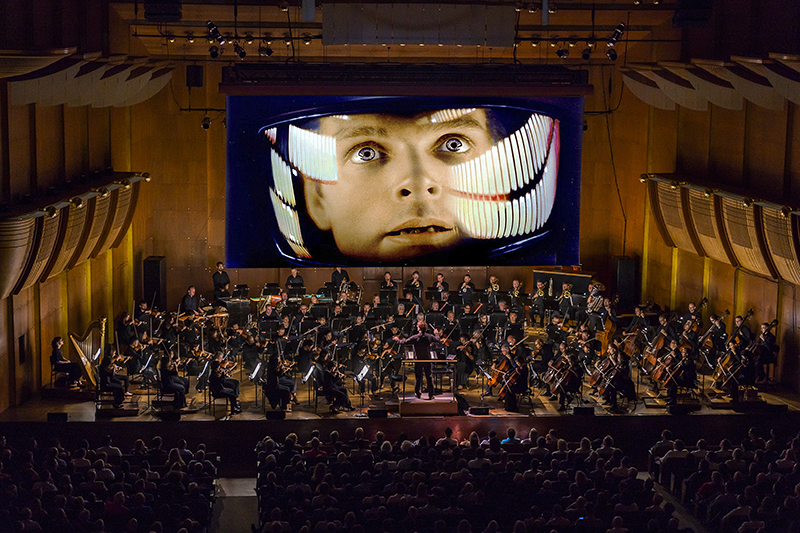 The full film performance included iconic compositions such as Johann Strauss Jr.’s majestic “The Blue Danube” and Richard Strauss’ stirring “Also Sprach Zarathustra” (with a full orchestra) and György Ligeti’s eerie “Lux Aeterna” and beguilingly dissonant “Atmospheres” during the psychedelic “Star Gate” sequence. It was mesmerizing. Ligeti’s chilling choral piece “Requiem for Soprano, Mezzo-Soprano, Two Mixed Choirs and Orchestra” sung live — the creepy female and male voices serve as the sound of the alien Monolith — sent chills up my spine. Balancing the amplified sound of the film with that of the performers was not an easy feat, particularly in a 2,800-capacity venue with three slim balconies wrapping around the room. Live engineering here requires more subtlety and finesse. Modern movie theaters tend to assault the sense with bass-heavy mixes, but for a classical presentation, more care needs to be taken. Maestro André de Ridder conducted the 93-piece orchestra and 32-voice choir. 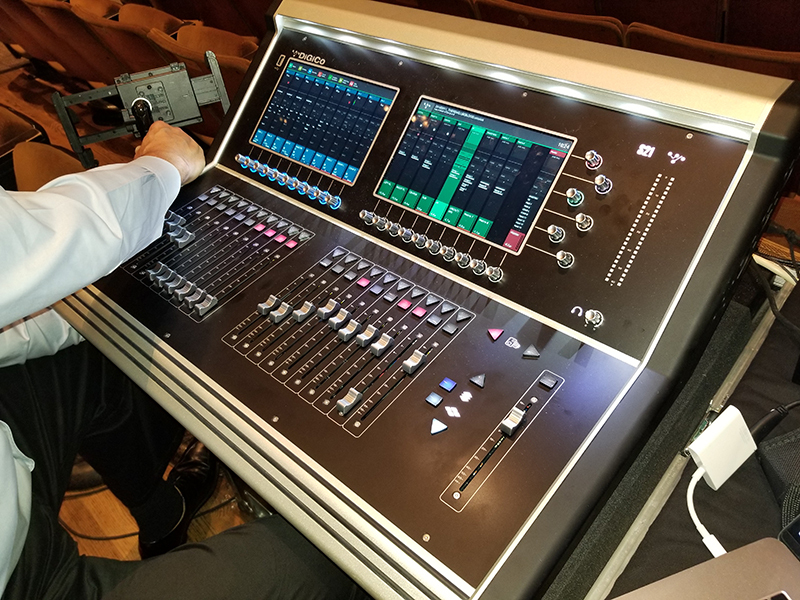 Mannarino manned a DiGiCo S21 with a 96 kHz D2-Rack stage box with 12 inputs total and “many more outputs, because we have surrounds and things going on.” Each film shown at Lincoln Center’s “Art of The Score” series, of which this was a part, is different. The orchestra needed 93 members for 2001, and 32 members of the Musica Sacra choir were enlisted. Mannarino uses a combination of K-array Anakonda KAN200 flexible array element speakers with d&b units from K&M’s inventory for the P.A. There are seven boxes in each cluster (left, center, right) comprised of 21 K-array Concert Series units. The two subs in the center are d&b and the front fills in the boxes are d&b. The goal is to create a more natural sound that becomes a part of what the orchestra does. Close to 100 different microphones were used to capture the sound. The sound effects are split between left and right, but the problem becomes the fact that people on the stage right will hear the effects there more than the other, and vice versa. Thus, Mannarino takes the signal from one side but puts a delay on it for the other. Rock also records each performance in a separate studio located above David Geffen Hall. 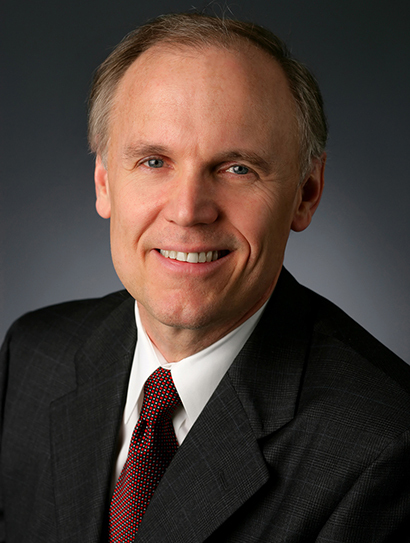 Part of his goal is “to idealize the sound of the orchestra in the room,” Rock explains. He has to work around any acoustic issues and peculiarities, which as he points out, any concert hall has. Microphones will never truly capture the sound in the room, but he wants his recordings to “give the impression that you are in the greatest hall in the world that doesn’t really exist.” He also does the live sound mixing for the orchestra when they play outdoors. Rock and Mannarino collaborate on creating the landscape, which will be captured in the hall and in recording. Rock says that everything they do with this film series dovetails with the live sound, and that is part of the challenge acoustically because the concert hall was not designed for any kind of amplified sound. He notes a big irony — the position that is the most obvious for rigging speakers is “arguably in the live-est part of the hall, which is not something one would choose to do ordinarily for sound reinforcement,” he says. “So it creates a lot of challenges in the quantity [and] the quality.” He adds that Mannarino has worked hard on building subtlety into the system while also anticipating the difference in the sound with and without an audience present. In this landscape, Mannarino points out, the sound is different in every seat. The P.A. might cover the room equally, but the orchestra might not. The percussion might be more resonant in one seat than another. 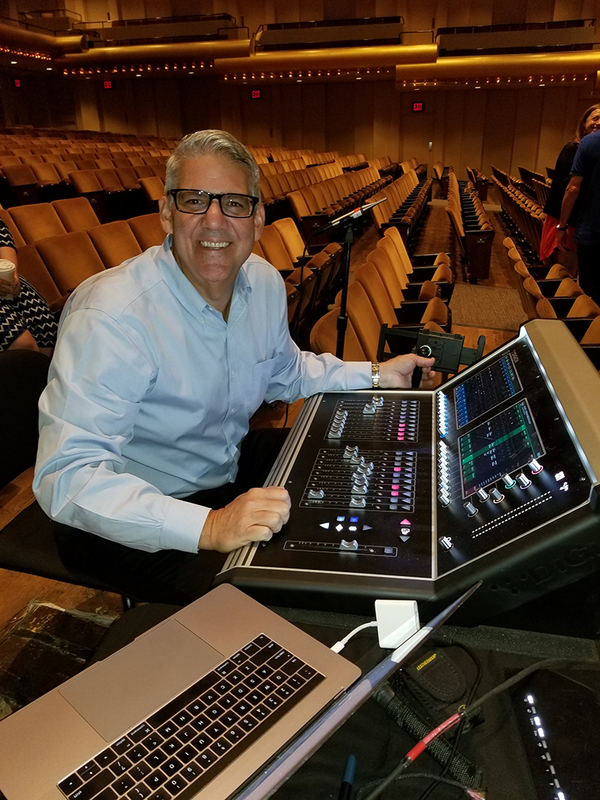 “Or, if the orchestra is softer in that seat and the audio system is equal throughout, then the mix is not going to be accurate when you’re working with what’s live versus what’s not,” says Mannarino. 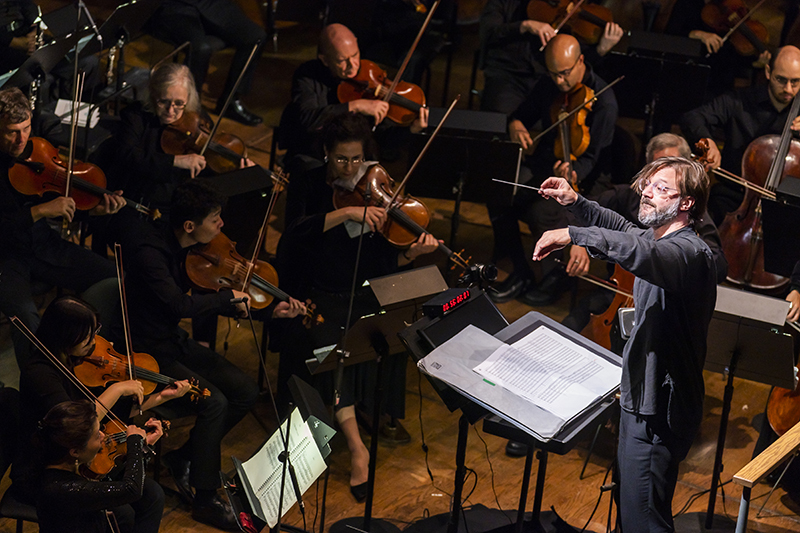 “I think it’s this combination of the two things, and that’s what makes it the most difficult for what we do here.” They also strive to make sure that the audience is truly hearing the New York Philharmonic rather than a reinforced sound experience.